has been a favorite of locals and tourists for decades and offers Yankee style cuisine to compliment the rustic charm of this 3-story post and beam barn. Our chef has created a menu of of tasty dishes that is f the best in the valley and our staff will make you feel right at home and have created a great reputation for quality hospitality. With views of Black Mountain Ski Resort out our windows, sit fireside under “Whit”, our moose mascot, and enjoy three levels of dining. Family-friendly live entertainment is offered most weekends. 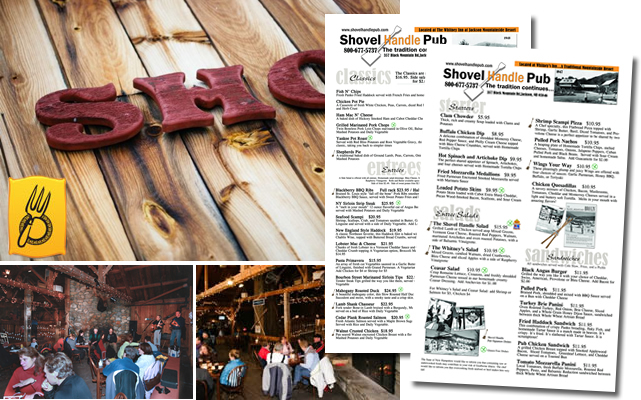 The Shovel Handle Pub also provides a great venue for weddings and parties up to 125 people. Our recently renovated dining room, The Birches, will wrap its arms around you with its warm colors and beautiful country setting. 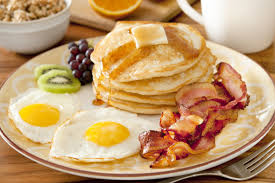 Enjoy our morning breakfast of waffles, eggs, pancakes, and so much more. Sit by our stone fireplace and be lit by our snowshoes sconces. The Birches is also available for small parties and weddings and has a full service fireplaced pub for cocktail parties prior to lunch or dinner. Always made with fresh ingredients. The Chef will surprise you time after time. The old stand-by is always available at The Whitney! All breakfast entrees include a side of Bacon or Sausage and are accompanied by either. Whole Wheat Toast or English Muffin. We use Locally Raised Eggs.